Neighbors and Heifer volunteers got together and sang holiday songs on a Friday evening (December 20th) in the Sacramento neighborhood of Woodlake. Starting at the Woodlake Swim Club, the group of 20 caroled for about an hour. Heifer friend Angela James brought bells and small instruments to accompany the caroling. We sang with gusto such familiar tunes as Frosty the snowman, Rudolf the Red Nosed Reindeer and Winter Wonderland. In the spirit of the holidays, participants and neighbors made donations to Heifer International. 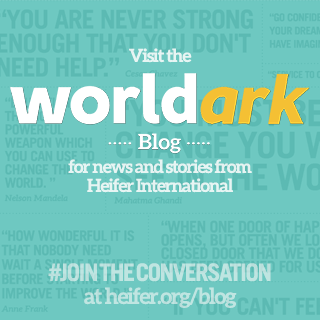 For 70 years Heifer International has successfully worked to end poverty while caring for the earth. With extensive training, 20 million families have become self- reliant throughout the. Women become empowered and children have the opportunity to go to school. 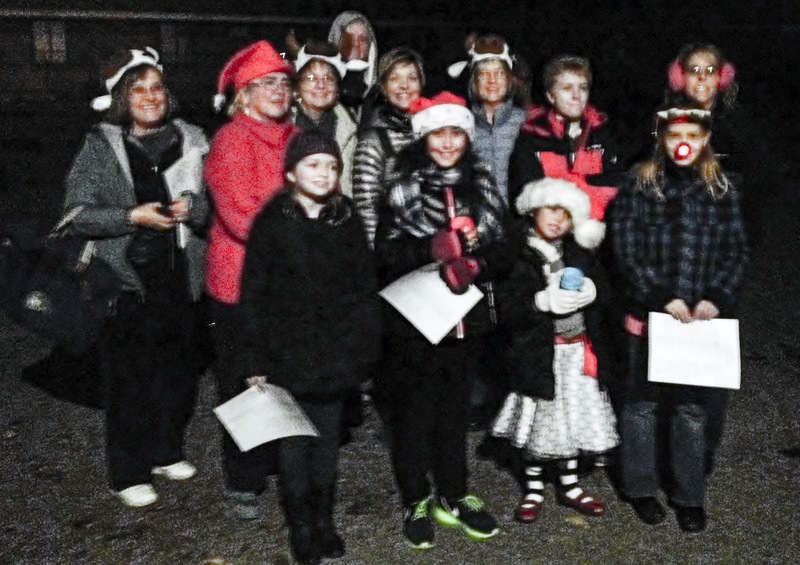 The carolers collected enough donations for a goat! The spirit of goodwill again returned to Woodlake! 0 Response to "Caroling for Cows Returns to Woodlake"